This post reviews best selling car care cleaners on Amazon, including dynamically updated list of best sellers of automotive care, cleaning products including Cleaning Kits, Exterior Care, Finishing, Glass Care, Interior Care, RV Care, Solvents, Tire & Wheel Care, Tools & Equipment, Undercoatings. Michael Jackson left us at age of 50 today, but his music will stay with us on and on. Although there are many ways of measuring the success of a musician, but Michael Jackson definitely holds the top spot of producing best selling albums. He has produced 3 albums that sold more than 30 million copies worldwide each, among which his 1982 album Thriller is the top seller in the all-time best selling albums, sold more than 109 million copies worldwide. The Biggest Album Ever just got bigger. The 25th Anniversary Edition of Thriller celebrates this ground-breaking album with 7 bonus tracks, six of which are previously unreleased. The new tracks include exclusive remixes from Kanye West, Fergie, will.i.am and Akon along with a previously unreleased track from the Thriller sessions, “For All Time,” newly mixed and mastered by Michael Jackson. Also included is a BONUS DVD with new, digitally restored versions of the three videos from the album as well as the Michael Jackson’s groundbreaking performance of “Billie Jean” on the “Motown 25: Yesterday, Today, Forever” television special (first broadcast on NBC May 16, 1983). This post compares and reviews over-the-counter Nature Made brand nutritional supplements produced by Pharmavite LLC. Pharmavite manufactures pharm-fresh nutritional supplements. Pharmavite’s Nature Made brand of vitamins, mineral supplements, and herbal remedies are sold through major mass retailers and drugstore chains. Like all successful supplement makers, Pharmavite’s product lines shift and adapt and new product development is key. It has entered the snack food segment with its SOYJOY nutrition bars and manufactures vitamins under the Olay brand.. Pharmavite was founded in 1971 and acquired by Otsuka Pharmaceutical in 1989. Otsuka has since introduced the Nature Made vitamin brand to Japan. Pharmavite manufactures all of its products at its facilities in California. WSJ’s SmartMoney recently ran a report that compares prices of major grocery items between regular supermarket and major warehouse clubs: BJ, Costco and Sam’s Club. The price data was based on their visit to supermarkets or warehouse clubs based in New York, New Jersey area. In summary, it’s pretty clear that 99% of the daily grocery items in Supermarket are sold cheaper in warehouse clubs, so that’s a win for warehouse clubs as a whole. Among them, however, there is no clear winner on an overall basis, since different clubs seem to have strength in different items. Rainbow Vacuum Cleaner is famous for its door-to-door traveling salesman, capability to clean both floor and air, and unbelievably high price. Despite the high price label, a lot of people love it. They believe it’s the “top of the line of vacuum cleaning”, and “absolutely worth $2000 price tag”. Many people compare Rainbow Vacuum E2 Series with Dyson DC07, and concluded that Dyson is a better choice considering its stronger suction power than Rainbow with much lower price of $380 – $600 range. However, Rainbow charges its price with a reason, people who suffer from asthma acknowledge that Rainbow is the only vacuum on the market that blows clean fresh air instead of dust to the room while working. 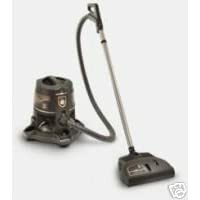 Product Description: Rainbow E2 Series vacuum Brand New. If you’ve never used a Rainbow, you’re in for a shock. With regular upright bag vacuums, dust particles escape through the pinpoint size holes in the bags. The water canister that sits under the Rainbow actually traps dirt, dust, etc. in the water as you vacuum. You actually see the water getting darker and darker. You can vacuum everyday with a regular bag vacuum cleaner and still not get your carpet as clean as you can with one pass of the Rainbow! * Genuine attachment set includes an Hose, Wands, Power Nozzle, Upholstery Tool, Dusting Brush, Floor and Wall Brush, Crevice Tool, Attachment Caddy and Inflator/Coil Cleaner Tool GoVacuum is an independent vacuum cleaner company and is not associated with the Rainbow Company or Rexair Inc. Rainbow is the registered trade marks of the Rexair Company. There is no warranty included from Rainbow, or Rexair LLC. 10 Year Motor warranty provided by ASC (Asssociated service corporation) , not by Rainbow or Rexair. Amazon.com Product Description: Designed by engineering guru James Dyson, inventor of the cyclonic vacuum, the 12-amp Dyson DC07 upright is an inspired combination of power and structural smarts. At the center of the machine’s innovation is the Cyclone air path design, an eight-section chamber that creates powerful, consistent suction. The conical chambers generate 100,000 g of centrifugal force, pushing dust and dirt out of the airflow into the vacuum’s 1-gallon collection cup. With no bag to clog, the vacuum’s 270 air watts of suction remain steady. The large, transparent collection cup is easy to check and empties tidily–pop it off, hold it over a trash bin, and pull the trigger to release dirt without having to touch it. The DC07 also comes equipped with a multipart filtration system to improve overall air quality in the home. The HEPA filter, measuring 412 square inches in surface area, traps microscopic particulates and allergens. Expertly built, the filter is designed to last the lifetime of the machine. Furthermore, Dyson upright vacuums are the first and only vacuums certified asthma friendly by the Asthma and Allergy Foundation.